Even though it's not as good as the original game, Trine 2 is one of those charming platformers that you can't get enough of. Games like Ori and the Blind Forest, Child of Light and Trine 2 always manage to somehow refuel gamers' passion for games. If you haven't played any of the above, you now have the chance to amend that mistake by getting Trine 2 for Android at a very low price. 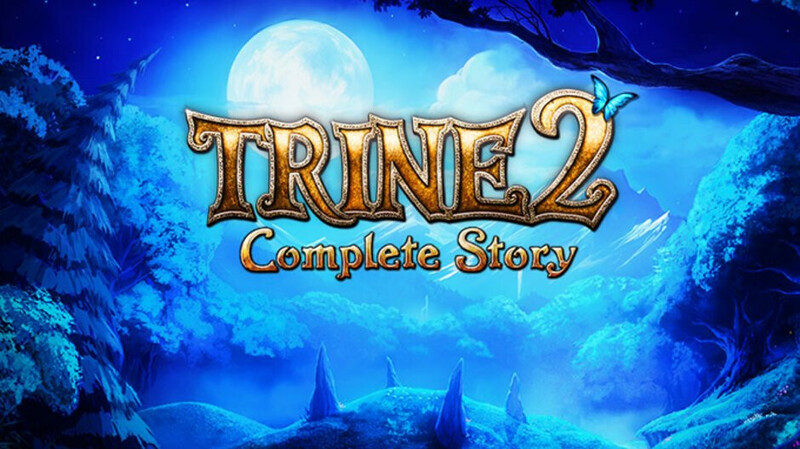 Trine 2 Complete Story is a game that you can usually beat in about 9 hours on the PC, but once you finish it, there's no reason to start another playthrough. Even so, the game is usually available in the Google Play Store for $17, which is probably the main reason it only has about 10k downloads since its release in 2015. Well, now you can grab Trine 2 for just $2.5, a more than decent price for this side-scrolling platformer. Trine 2 is a fairytale-inspired platformer that combines realistic physics and puzzle-like challenges that can be solved in many ways depending on which of the three characters you use. Each character has different abilities and tactics, which can be used to invent new ways to overcome these challenges. The game includes the main campaign of Trine 2, the Goblin Menace expansion and the unlockable Dwarven Caverns level. In total, there should be 20 levels available in the game, ranging from lush forests to burning deserts, to the insides of a giant sandworm. I remember playing this game on PC (probably 5 years ago), I can say that it's totally worth the price. Well it's a good game ( I've played on pc a while ago) but Android version of it only runs on Tegra GPU.